In #Australia? 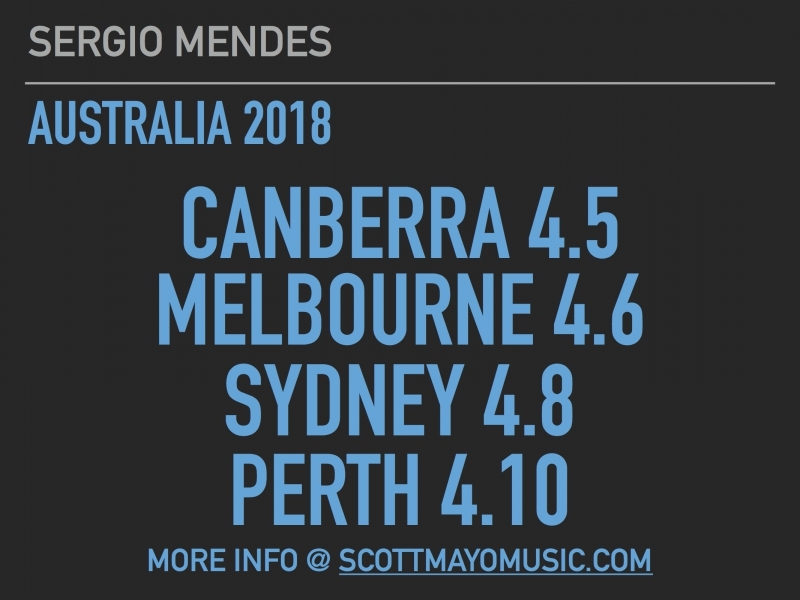 Come join me and my musical brothers and sisters of #Brazil2018 as we bring the music of Maestro Sergio Mendes to Australia for our 2018 tour. This will be the first tour of the Land Down Under since 2006, so we’re all super excited to return to this truly magical place. Click HERE for full info on each show. Hope to see you there!